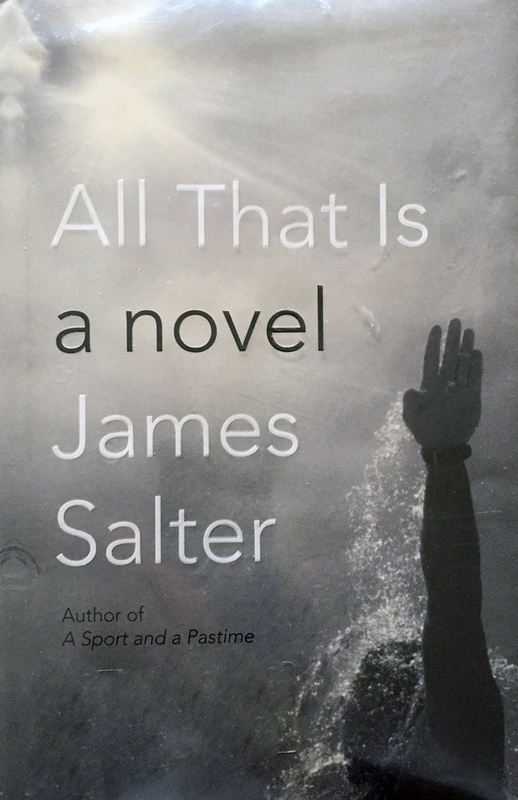 Having read James Salter’s Light Years I was eager to read his last work, one that was written and published only two years before his death at the age of 90. Why does a person nearing the end of his life take one last plunge into writing a novel after such a long absence (the previous one was written more than 30 years earlier)? That is immediately answered in the epigraph preceding the half title page: “There comes a time when you / realize that everything is a dream, / and only those things preserved in writing / have any possibility of being real.” Salter has important things to say about that “dream,” and thus this novel. I make a point of this as the life Bowman imagined of Kimmel, he eventually tries to create for himself, seeking sexual experience (first through a totally inappropriate marriage to a wealthy and inexperienced young women from a wealthy Virginia family, a marriage which rapidly ends in divorce) and then through what constitutes a slowly revolving door of sexual partners. These women were all well educated, some married, attracted to Bowman no doubt as he matured into a New York City sophisticate, well connected to artists and writers in particular, the names of which are dropped freely throughout the novel. Yet, there is the strong theme of Bowman leading essentially a solitary life populated by the activities of his profession and his dalliances. A couple of these relationships become quite serious, even leading to the thought of a second marriage. One in particular seems to be heading right there until it explodes into deception and even more startling in the context of this tale, revenge. It is the only moment in the novel that truly takes the reader by surprise. It reminds me in many ways of Stoner by John Williams, although that is a much darker tale. There is a sense of “aloneness” in each novel. These men have their work, work they love, but relationships break down or are fleeting. Each protagonist marries only once. Bowman and Stoner move in different circles, Bowman’s world being the well-traveled, the affluent and sophisticated. 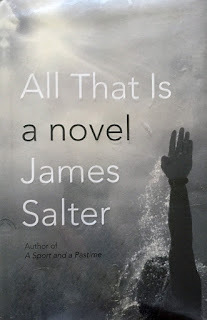 Salter’s characters move in and out of the novel not unlike life itself where acquaintances reappear in the most unlikely places or at the most unlikely times. Salter’s prose – as was the case of Light Years – can be lyrical, evocative, and nostalgic, such as this description of Bowman going to see his ailing mother, leaving New York City by train: “Bowman came by train, looking out at the haze of the Jersey meadows, marshes really. He had a deep memory of these meadows, they seemed a part of his blood like the lone gray silhouette of the Empire State Building on the horizon, floating as in a dream. He knew the route, beginning with the desolate rivers and inlets dark with the years. Like some ancient industrial skeleton, the Pulaski Skyway rose in the distance and looped across the waters. Nearer, in a rush, blank factories of brick with broken windows went past. Then there was Newark, the grim, lost city of Philip Roth, and churches with trees growing from the base of neglected spires. Endless quiet streets of houses, asylums, schools, all of an emptiness it seemed, intermixed with bland suburban happiness and wholesome names, Maplewood, Brick Church. The great, smooth golf courses with immaculate greens. He was of it, from it, and as he rode, unconnected to it.” I know those sites too, but it takes a special writer to connect the reader to the feelings (“as if a hand has come out and taken yours”). Essentially this is a work of closure, a statement that life passes quickly and before one knows it there is little to the future and the past cannot be undone. Yet in his inherent aloneness, Bowman’s life is one of content.